Some of you may know Cisco’s err-disable recovery feature, which allows to automatically bring a port from err-disable back to UP state. Huawei switches have similar functionality, which is called error-down auto-recovery. Let’s take a look, how this feature works, in a network running STP, when BPDU protection is the reason that a port goes into DOWN state. If you are not familiar with BPDU protection feature, read my previous article “Protecting STP on Huawei switches”. As a continuation of the STP Root Protection feature I want to describe additional STP protection functions and show you, where these functions should be implemented, in a typical campus LAN environment. May 13 2013 20:17:00-08:00 labnario_sw%%01MSTP/4/BPDU_PROTECTION(l):This edged-port Ethernet0/0/1 that enabled BPDU-Protection will be shutdown, because it received BPDU packet! Spanning Tree protocol is a loop prevention mechanism in a bridged LAN. Every STP topology has its own root bridge, which determines how STP topology is calculated. The role of the root bridge is to act as a reference point in the network, so that all other switches can determine, how far each of their ports is from the root bridge. The port, which has the lowest path cost, is placed into a forwarding state. All other ports, that can lead to the root bridge, are blocked. 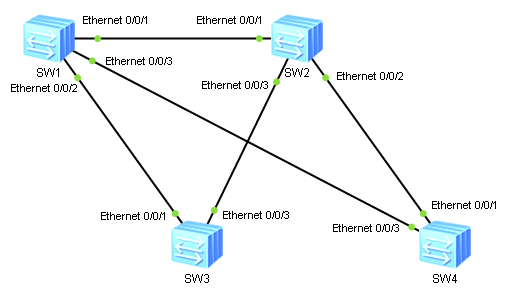 Ports in the switching topology, which lead away from the Root Bridge, remain forwarding. You can recall STP operations reading the following article: “Multiple Spanning Tree Protocol on Huawei switch“. How does the root bridge election process work? 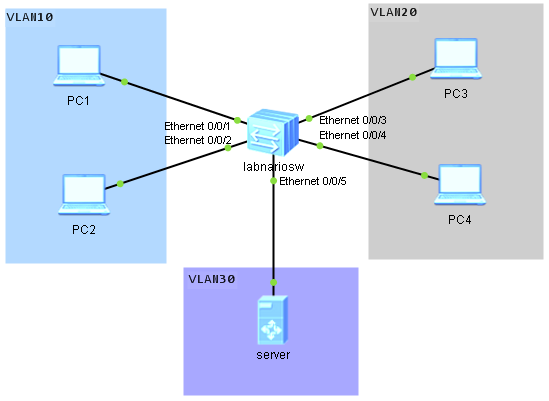 Do you know the Private VLAN feature from Cisco switches? The same feature exists on Huawei switches and is called the MUX VLAN. MUX VLAN allows isolating Layer2 traffic of different interfaces in the same VLAN, and still allowing access to common resources. hosts in VLAN10 should not be able to ping hosts in VLAN20. how to load balance traffic over redundant links.